PS：We updated the newest Motherboard. Please make sure that you already turn off the HDCP function of your external device you want to connect. This VR Headset 3D All in One Virtual Reality Glasses can connect the VR to PS4,Xbox and PC with HDMI input. Meanwhile,WiFi and Bluetooth allow you to download many apps (NIBIRU system 2D/3D app, Google play, Youtube, Third party app and so on), videos and games into the VR headset. TF card support and 5.5 inches TFT 2560X1440 display. It has been tested that the battery lasts minimum 3.5 hours for video play, indicating that it should last longer under lower power consumption circumstances. MULTIPLE INTERESTING FUNCTIONS: HDMI Input allow other external devices (such as PS4,XBOX,PC,etc.) to hook up this headset and the images can be show in the headset's screen. Meanwhile, users can download many apps (such as Google play, YouTube, Third-Party apps, etc.) they like into the headset. IMAX THEATER MODE FOR VIDEO PLAY: High FOV helps getting a better view. With the resolution 2560x1440P screen, there are IMAX theater mode for videos playing. You can replace 3D/360°panorama mode to view VR/360°pictures or videos. It also support for myopia people under 600 degrees with naked eyes watching. 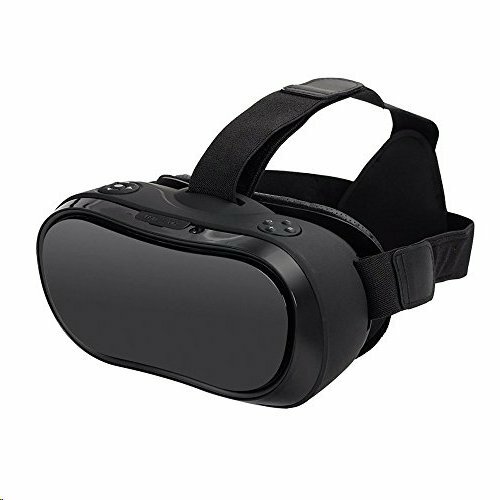 SUPPORT TF CARD, WiFi AND BLUETOOTH 4.0: This VR headset supports to install 64GB TF card and you can download or read anything you want in your TF card. Wi-Fi allow users to surfing online via system browser and BT can connecting wireless controller while you playing games. If you have any questions about this product by TYVeRa, contact us by completing and submitting the form below. If you are looking for a specif part number, please include it with your message.